Now, there’s a lot in this world I don’t get. I’ll be honest, I don’t understand why anyone would play a vinyl record when they can play a lossless digital file. I don’t understand most of the culture coming out of our major cities, and I still don’t understand why men’s blazers are suddenly three sizes too small. Add to that, why anyone would want to watch VHS tapes. The VHS experience is just plain not good and it never was good. It was always a compromise. Most people couldn’t afford to get 35mm prints of their movies, but they could traipse down to Blockbuster and get a VHS version. Luckily, Instagram artist Steelberg doesn’t seem to advocate actually watching VHS tapes, but he does advocate creating artwork that looks like he does. He’s an artist who specializes in creating period-correct VHS cover art for today’s movies and TV shows and as someone who owned quite a bit of VHS stuff, I think he’s quite good. You might think so too if you read this recent interview. 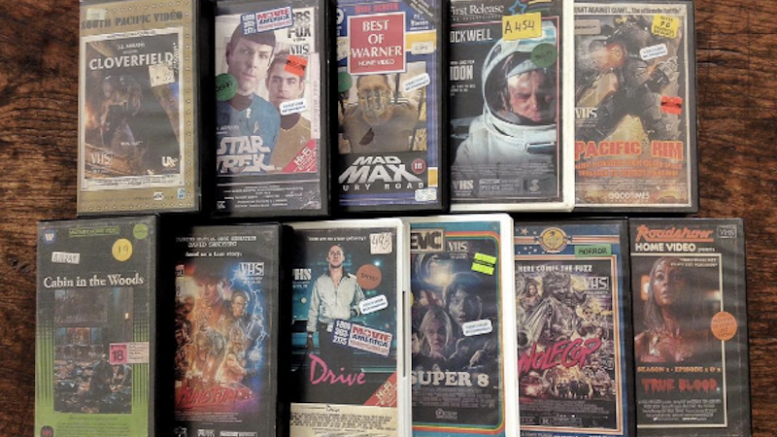 It’s a very specific bit of pop culture that he seems to want to imitate – he creates VHS box covers that look like they come from non-Blockbuster video rental stores. Blockbuster boxes were more consistent, with the original VHS box shrinkwrapped and the rental cases carrying generic Blockbuster artwork. His cases have the stickers and paraphernalia associated with those mom-and-pop stores you found in the 1980s. It’s a weird thing to idolize but hey, it’s better than some of what I’ve seen. At any rate, the point is that he’s absurdly good at this, take it from someone who worked at one of those mom-and-pop joints. Look and laugh, and enjoy your Fun Friday. FUN FRIDAY: Back to the moon?